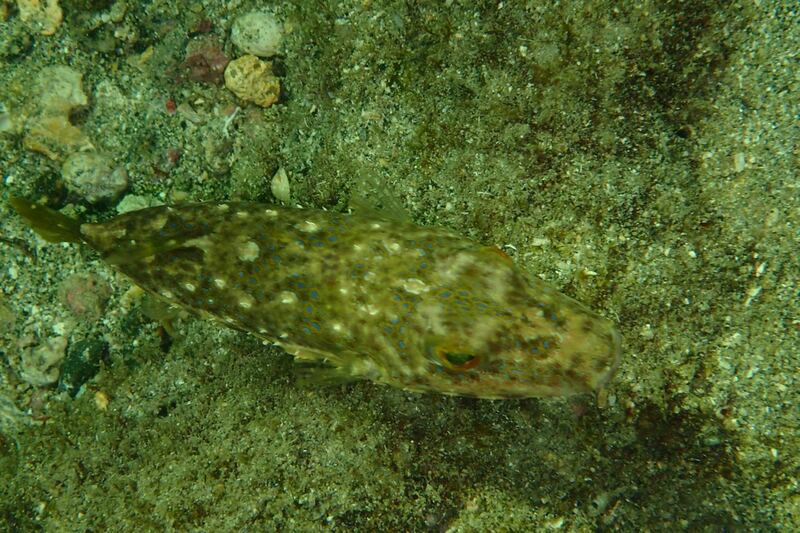 I used to know about just one type of Pufferfish, the biggest one, the Porcupine fish. 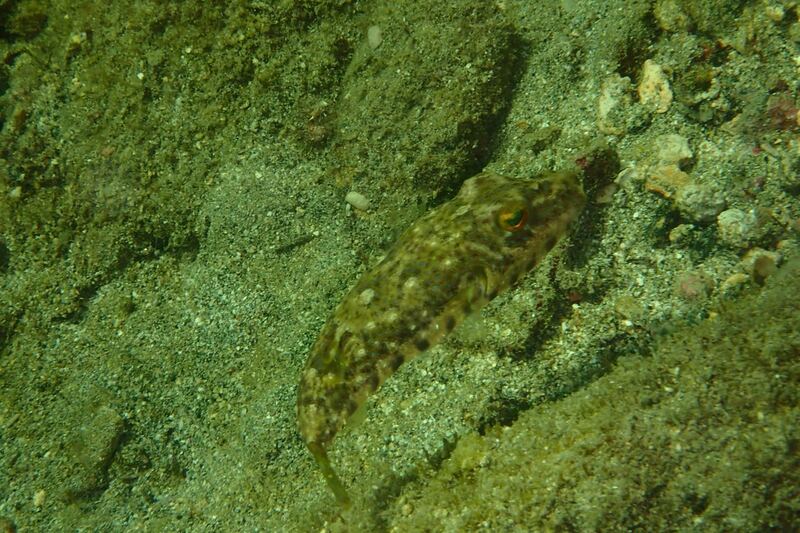 But the more time I spend snorkelling, the more I get to learn about the great marine diversity we have in Tobago. A good example is this photo of a Bandtail Puffer. From afar you might barely notice him, but on closer inspection you would notice the beautiful, iridescent, blue spots he has on his skin. His orange eyes, and tiny spikes on his lower body. 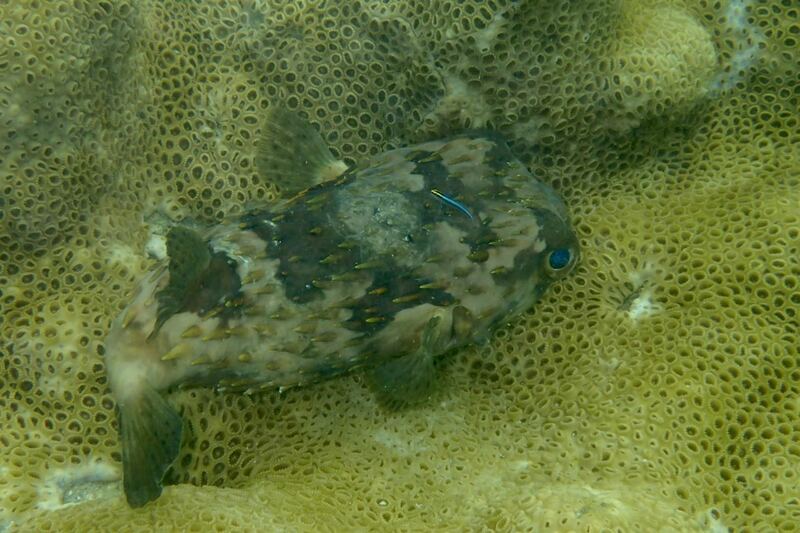 I now have to reclassify a fish I previously thought to be a Porcupine Fish. 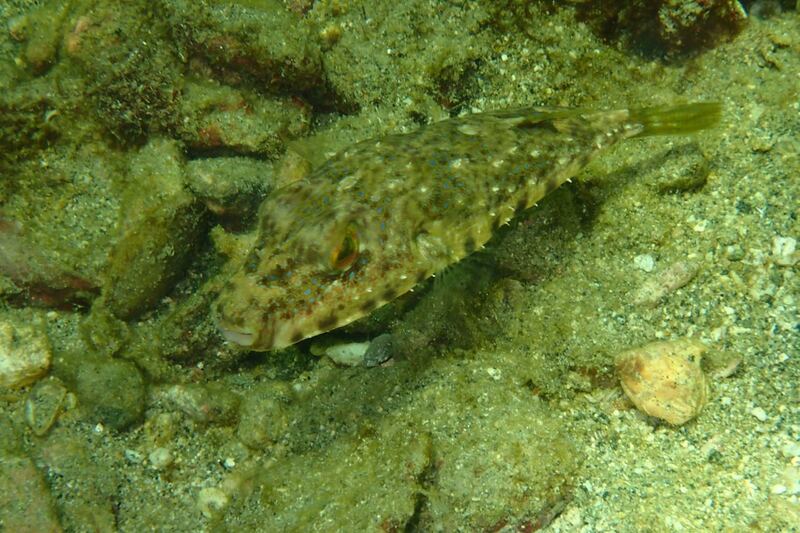 It is actually called a Balloonfish. They are in the same family and category as Porcupine Fish but they are different none the less. The cool camouflage is one of the main differences. 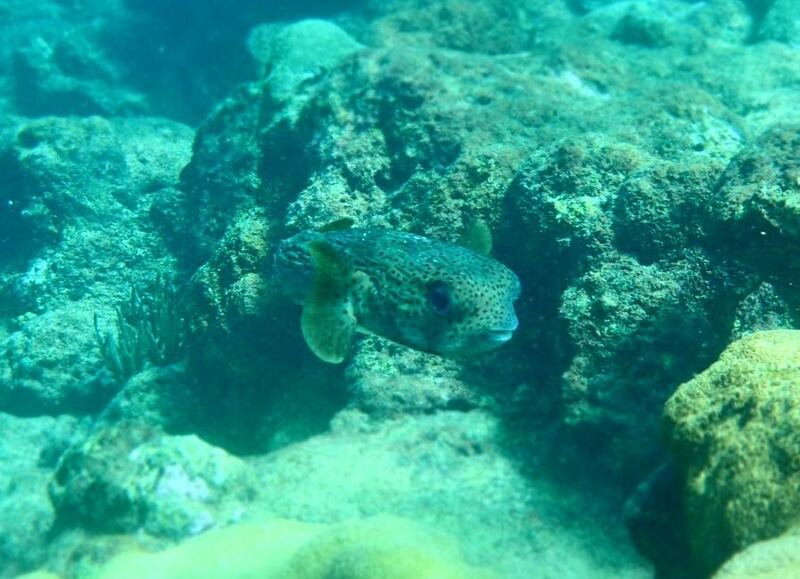 If you are interested in learning more about Tobago’s awesome marine life, then give us a call at 868-681-4741, email us at info@snorkeltobago.com or check out our website at www.snorkeltobago.com and let us show you the best in Tobago Snorkelling.